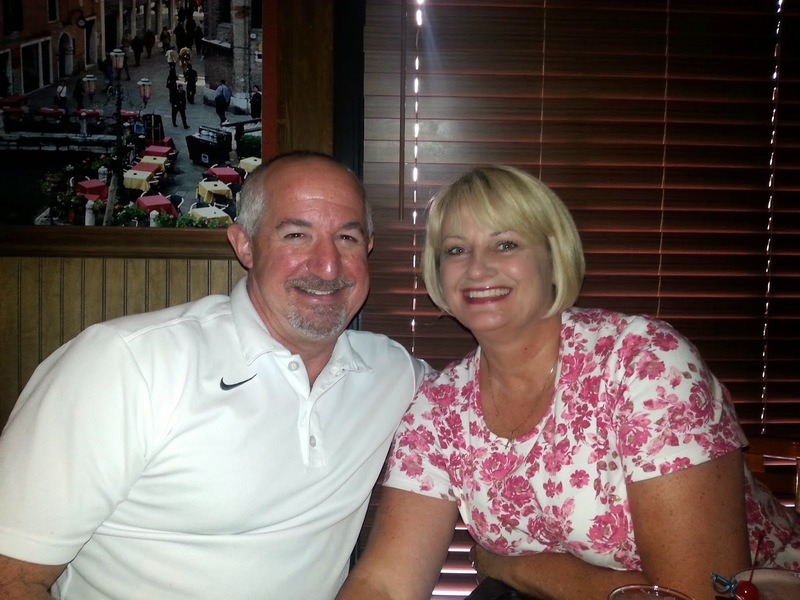 We had a BEAUTIFUL drive down to Pratt, Kansas to visit family. 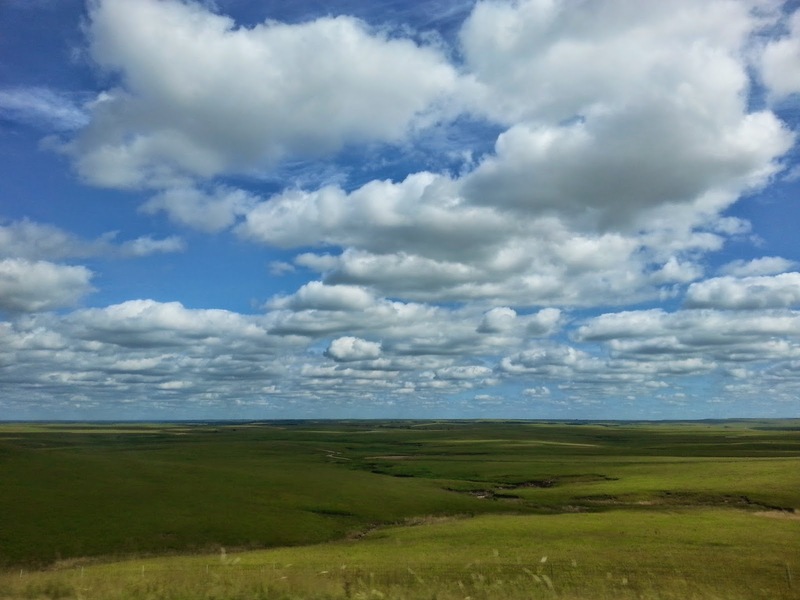 The drive through the Flint Hills was magnificent. This is what "wide open spaces is ALL about". 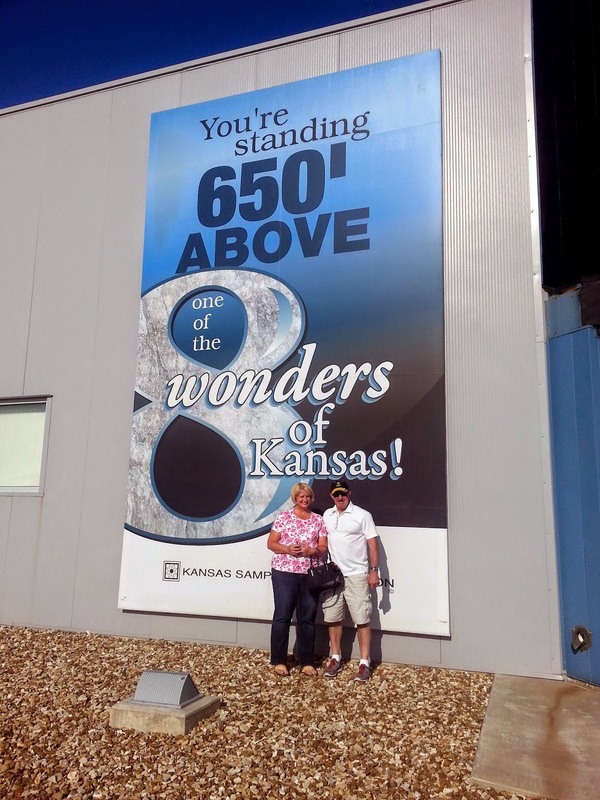 We went to STRATACA Salt mine which is one of the 8 Wonders of Kansas. Of course, now I need to find out what the other seven are! It was AMAZING inside. You have no idea what to prepare for...and it was about 1,000 times larger than what we were expecting to see. 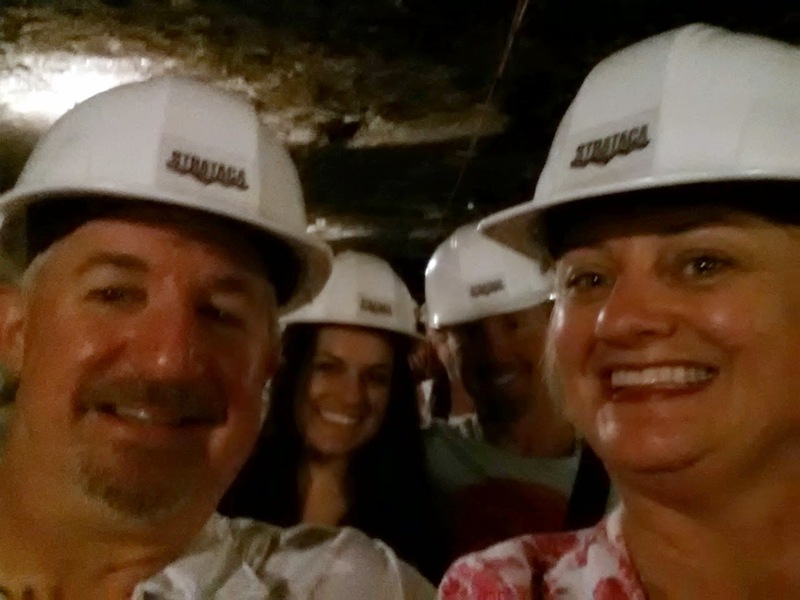 We rode down 650 feet underground in a pitch black shaft anticipating what we would see when we arrived. This picture was taken on the ceiling and I wish all the glittery sparkles would have shown up to show you just how magical it looked. 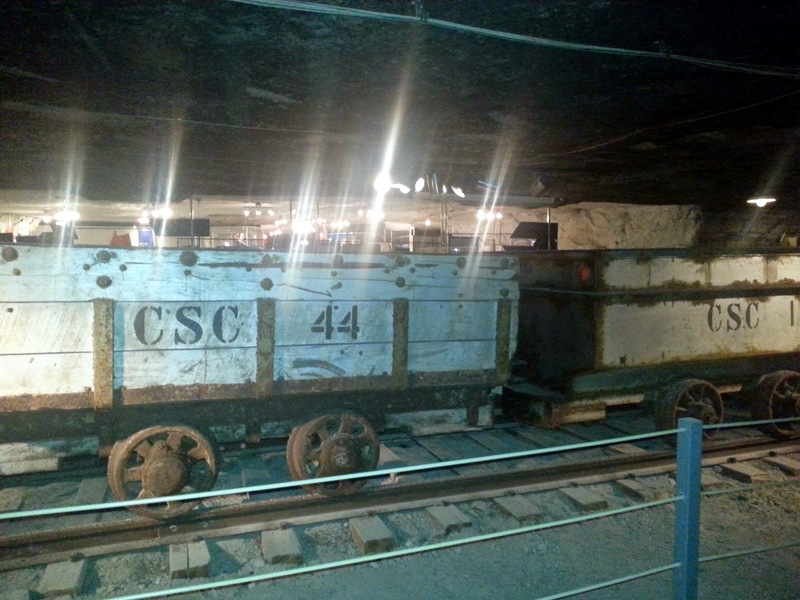 These are actually some old coal cars that the owner of the mine purchased to help haul the salt after being mined. Now remember, everything that came down 650 feet had to be dismantled, taken down the same shaft we came in, and then reassembled once down. Of yes, the classic photos that will live in history within our family. 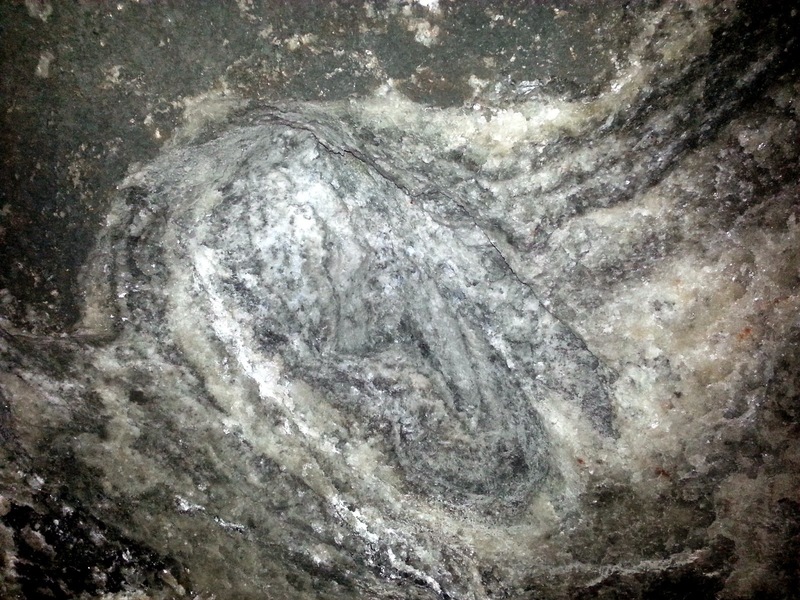 We went on not one, bit two train ride in the mine, yes....it's that big! That is a cardboard cut out of mike Rowe from DIRTY JOBS. 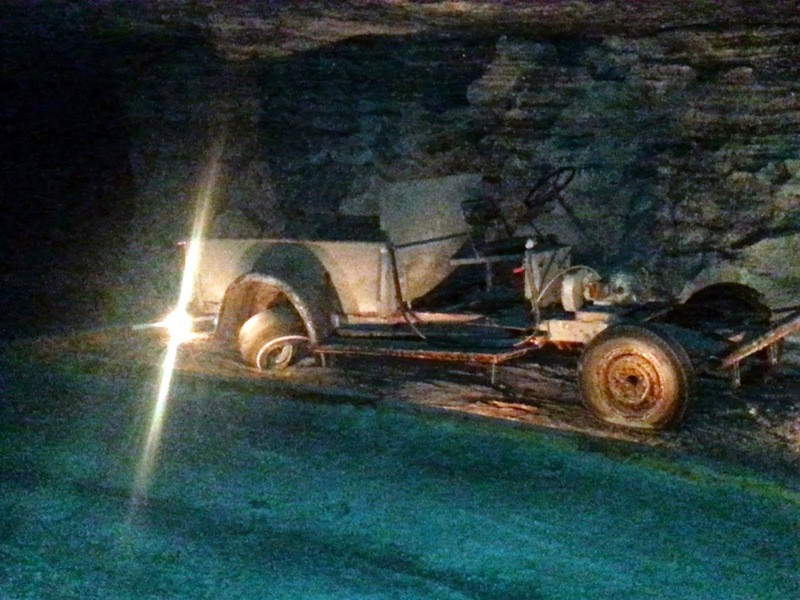 He was toured around the mine in this beauty of a car that he dubbed the Marvinmobile, since Marvin was taking him on a tour for the show. Now of course, I need to watch that episode, and already think Mike Rowe is a hoot. 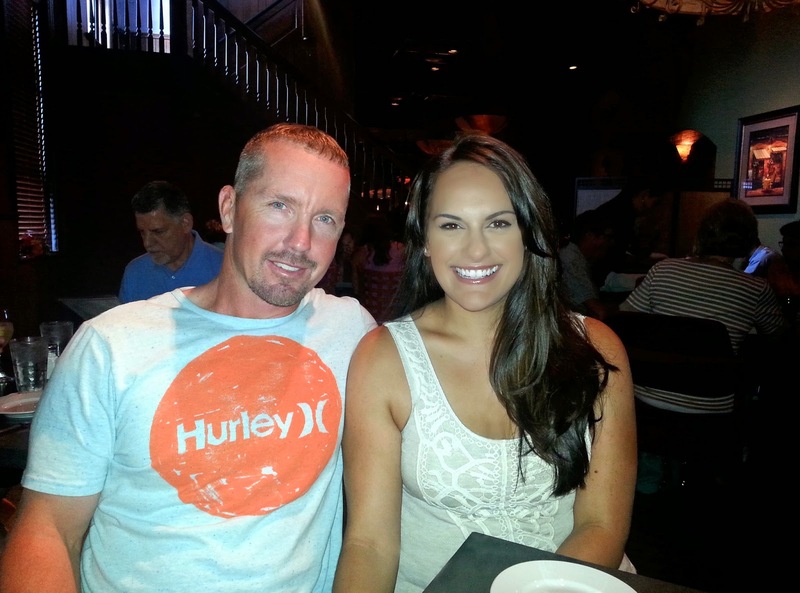 My daughter Nadia and her man Jon. 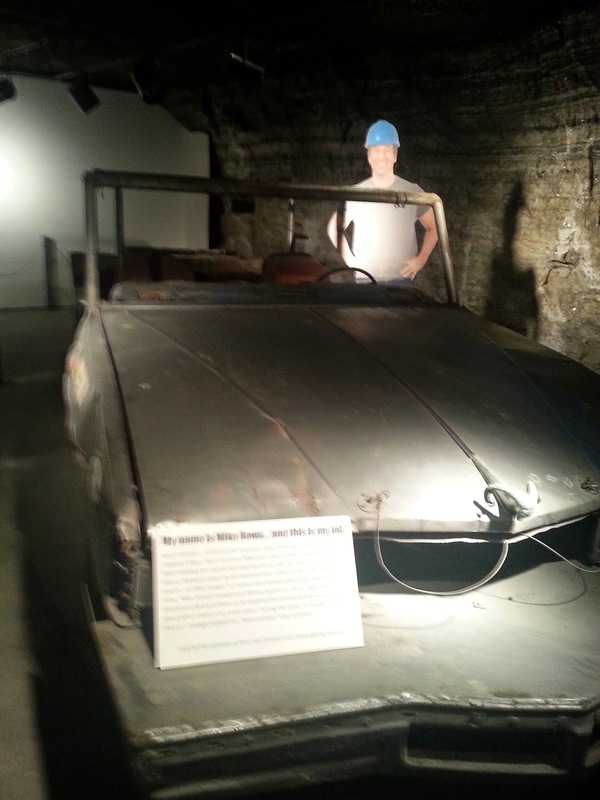 EVERYONE had to wear helmets and carry respirators (just in case), but they made everyone at ease stating in all the years the mine has been open to the public, they haven't be used. 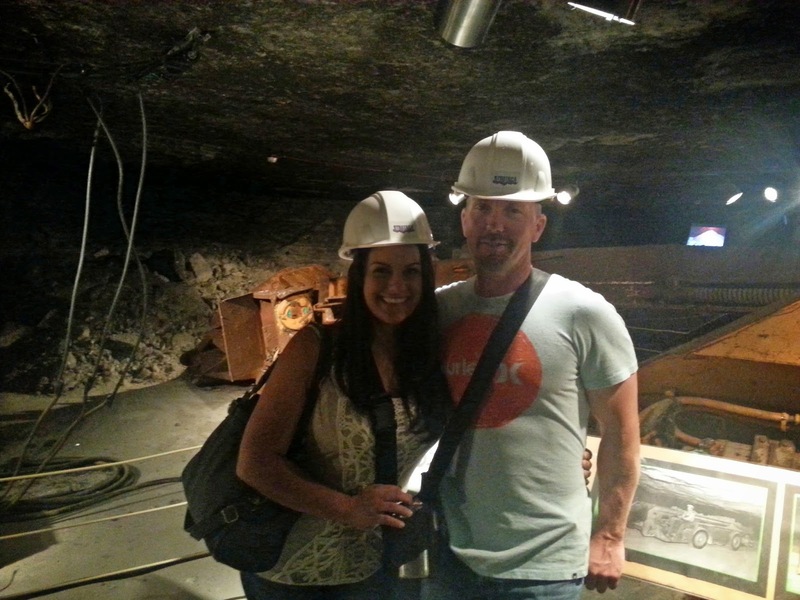 We were told "What comes down to the mine, stays in the mine"....so many cool artifacts over time to see. I felt like I was at Disneyland. The two happy campers. Always game for a road trip, and even better when you get to have a new experience, and of course, the best thing of all FAMILY!